VideoEditz, a web company that provides video editing and syndication services, recently released a podcast interview with Ryan Spanger from Dream Engine. Mr. Spanger is a video expert with over ten years of video production experience. In the interview, he goes over key tips on improving web video quality to improve branding. Video editing and syndication service provider VideoEditz recently posted a podcast where its owner, Jake Hower, interviewed video expert Ryan Spanger from Dream Engine. In the interview, Mr. Spanger shares his expertise on how to improve the quality of web videos in order to improve a business’ brand. Ryan Spanger founded Dream Engine to produce videos for medium to large businesses. His work eventually led him to focus on web video production. His tips during the interview encompassed both the marketing and technical side of video production and how the two affect each other. According to Spanger, it is typically better to use people within the business in the videos than hiring actors because audiences usually want to get a sense of the organization. “Unless you’re working with very good actors who are very expensive it’s much more cost effective to work with real people who, there isn’t that additional cost there,” said Mr. Spanger. Jake Hower asked Ryan Spanger his opinion on ‘homemade’ web videos and how to improve them. “There’s a trend at the moment where people just grab their iPhone or Flip HD camera and start recording. What I’d like to get from you today is your opinion on this style of recording and maybe give us some pointers on how we can actually improve that for producing better web videos,” said Mr. Hower. Spanger saw a risk of damaging a business brand when using videos without paying attention to editing. “I think the future of video production… is people starting to master some more of the technical side of things. There’s a good reason for that. The more polished and professional your product looks, the more people are going to enjoy it and the more engaged they’re going to be with your content,” answered Mr. Spanger. The interview then moved onto Spanger’s tips for improving the quality of web videos. Topics covered include lighting, sound, and video composition. Spanger also shared that sound is more important than lighting to video production. “In my opinion, sound is even more important than lighting. If you have good sound, at least people can follow on with what you’re saying. If your sound is bad, people are just going to switch off. Lighting is absolutely vital, but sometimes people will spend too much attention and money on getting a great camera or lighting, but they’ll neglect sound,” shared Mr. Spanger. Business owners and video marketers who want to hear the full interview can listen to the podcast at VideoEditz. 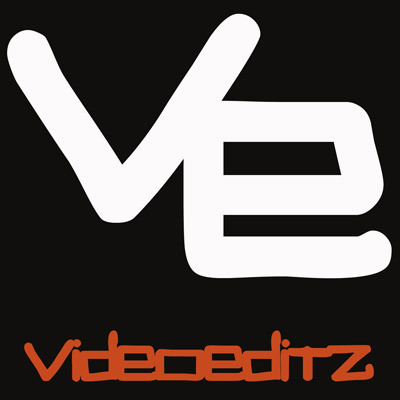 VideoEditz is a venture by Jake Hower. After assembling a crack team for his own video creation and syndication needs at Pan Australian Travel & Business Travel Management Jake has developed a highly effective, speedy solution for others that is provided at the best prices available. They have spent months refining their system to what it is today. This service is tailored for those who don’t have the time or resources to build their own team or for consultants looking to offer video services to their clients. Jake is also a Melbourne based owner of Pan Australian Travel Pty Ltd, a Travel Agency specializing in leisure & business travel for SMEs. The company has been in operation since the late 1950s. Business owners and consultants who want to have video editing and syndication done for them can go to http://videoeditz.com.